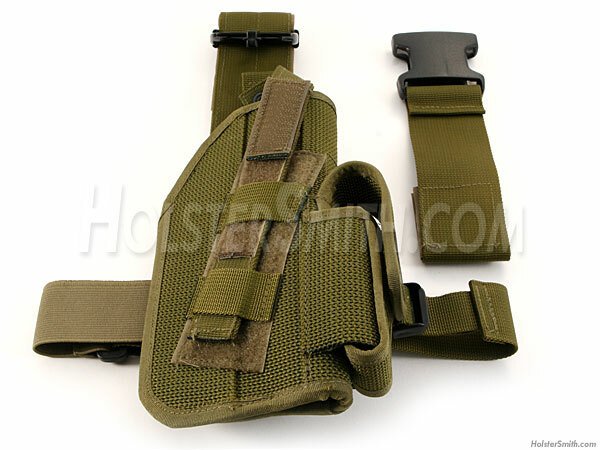 This is a drop leg tactical holster made from double and triple stitched 600D polyester canvas. The Olive Drab finish and quiet deployment make this a great rig to use in daily action. 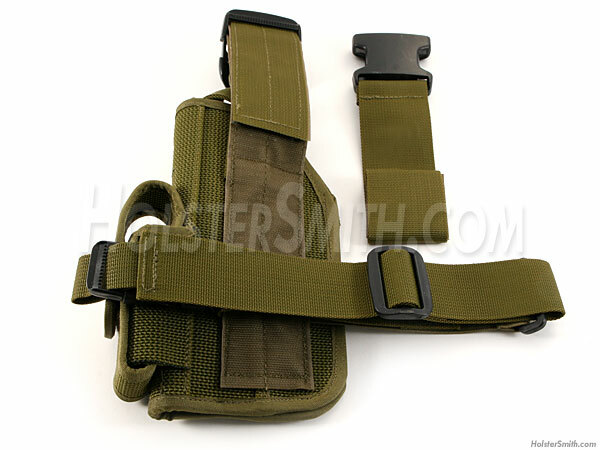 It is designed with an adjustable leg strap with integrated quick release buckle. It also has a quick release belt clip, adjustable thumb snap and an easy-to-access clip pouch with hook-n-loop closure. This holster design fits 5" frame sizes, including Beretta 92 and similar sized autos.